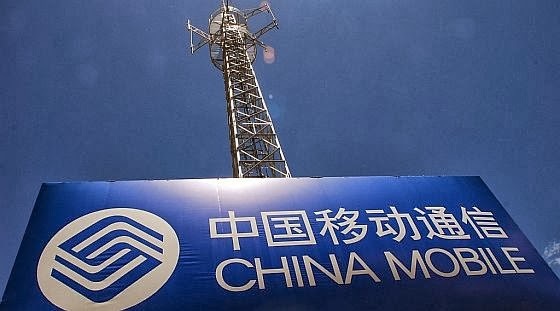 World largest mobile communication operator, China Mobile Ltd had awarded 4G contracts worth around 20 billion yuan ($3.2 billion), with Chinese firms securing more than half of it - particularly China’s biggest telecoms equipment makers, Huawei and ZTE - and foreign firms winning about a third. China Mobile has more than 750 million subscribers, or 60% of the total mobile subscription in China. Major foreign players include Ericsson, Nokia, and Alcatel-Lucent with the use of the latter's innovative lightRadio 4G TD-LTE overlay for the nationwide roll-out of the world's largest high-speed mobile broadband network. Alcatel-Lucent has been awarded 11% of China Mobile's deployment of Phase I of its 4G network. This involves deployment of more than 207,000 mobile base stations in China by the end of 2013. China Mobile has been actively carrying out large-scale TD-LTE live network trials in China for more than 3 years and is now scaling the deployments. Alcatel-Lucent has been closely involved with China Mobile in developing TD-LTE from the inception of the technology. China Mobile preparing for iPhone 5S and 5C rollout? China Mobile will launch 4G services early next year. Apple’s latest iPhones are compatible with the TD-LTE spectrum used by China Mobile, which has led to expectations of a future sales deal to sell the devices. TheGreenMechanics: It'd be great to see the full scale roll-out of the speedier 4G LTE network in Malaysia. Also, I'd love to see collaboration between the main telcos - Celcom, Maxis, DiGi - to provide consumers with better quality mobile broadband.